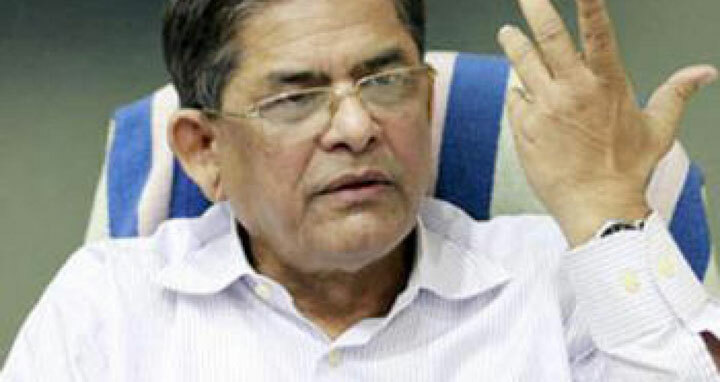 Dhaka, 2 June, Abnews: BNP secretary general Mirza Fakhrul Islam Alamgir on Friday urged his party colleagues to get ready to put up a strong resistance against the government’s ‘misdeeds and repressive acts’ as their backs are now pushed against the wall. “We’ve now nothing to lose as our backs are now pushed against the wall. So, it’s a time to put up a strong resistance,” he said. The BNP leader came up with the comments while unveiling the cover of a musical CD on Khaleda Zia at Dhaka City unit BNP's Nayapaltan office. Fakhrul said it is an unprecedented incident that Khaleda has been kept in jail unlawfully for several months having her bail stayed. “We just wonder how will we have our confidence in some institutions now? The High Court has granted her (Khaleda) bail, but the Highest Court stayed it resorting to tricks and kept it hanging until the eid vacation and thus prolonged her stay in jail,” he said. The BNP leader alleged that the government has taken a position against democracy and people to establish the rule of particular person and a party.